Drone technology has accelerated in recent years while costs have put very capable drones within reach of consumers as well as enterprises. Many advances in recent years have been around hardware platforms — better batteries, more robust airframes and high-resolution cameras. More money and resources are currently being spent on hardware innovations as this industry is still in its early stage. It shouldn't be a surprise to anyone in technology that drones are here to stay and in a big way. What may be surprising is the pace at which they become ubiquitous in everyday life. According to Marketwatch drone sales topped $1.33B in 2014, and according to Fortune that figure was $2.5B, growing at 15-to-20 percent annually. The sky is the limit for commercial use drones and these figures don't even include military spending, which is an entire topic unto itself. As recently as this year we have seen increases in investment and new innovation on the software that runs the drone, the ground stations and its cloud services. This is the exciting area for us, since we aren't hardware guys (at least not in our day jobs). I actually think there will be a similar correlation to enterprise computing in the drone space. Hardware will eventually become a commodity and the real innovation will come from software and related services. Software exists today on the drone itself in the form of a flight controller. The flight controller interfaces the with a wide array of sensors including GPS, accelerometers, GPS, airspeed, barometric pressure, temperature, etc. All of which are inputs which can affect flight. The flight controller is responsible for taking input from the ground station or pre-set waypoints and making sure the drone is where it's supposed to be, utilizing complex control algorithms such as PID (Proportional Integral Derivative). Even relatively inexpensive "toy" drones can do this today quite well. The most popular open source flight controller is the ArduPilot Mega or "APM." It was one of the first autopilots for drones — both land and air — and is a great low-cost, ubiquitous controller for drones. (Note that APM is sponsored by 3D Robotics now). If you are building a drone from the ground up, then selecting a flight controller is a decision point to be visited. Most users, however, will buy a platform with an appropriate controller already integrated into the platform. Where today's software developers will be most comfortable is the second area of innovation for drone software: Ground/control stations. The most common platform for this software is a mobile device — primarily Android but also IOS. Today there are a number of off-the-shelf, proprietary controllers for drones. In fact, most drones sold today will include their own app to control the drone and pull images & telemetry data from it. Development kits have recently emerged allowing custom apps to be built that interface with flight controllers. Companies like 3D Robotics have an entire development platform allowing app developers to custom build applications. 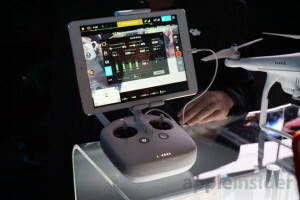 These applications run on Android and can be on a mobile device or even a "companion computer" running on the drone itself. Regardless, this software interfaces with the flight controller and provides intelligence and computing power to accomplish mission's tasks. The final area of innovation we want to discuss in this post is around cloud services. This is the area most likely to see rapid innovation as the number of drones in use increases exponentially. 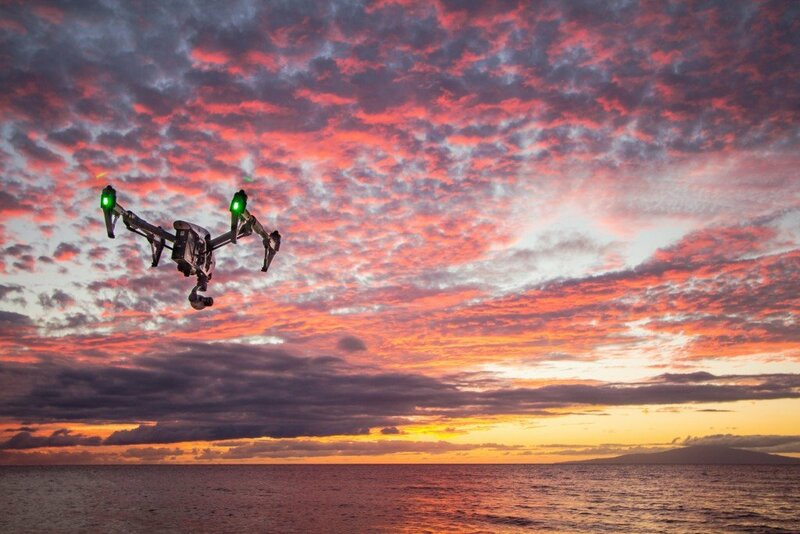 Drones are able to capture and send a wide array of data and images while in use. Everything from generating aerial view maps to gathering environmental data or even traffic data. The analysis, processing and correlation of this data is computationally intensive and best suited to cloud processing. What is also very well suited to the cloud is correlation of data from multiple drones. 3D robotics is one of the first with a beta cloud platform that can be fed data from the ground station via cellular network (or wifi). This is extremely powerful from several different perspectives. First, if this is done in realtime, then sharing live data — while in flight, for instance — with a large number of users becomes possible. This obviously requires hosted or cloud services because a drone or even the ground station both lack the processing power and bandwidth to serve multiple requests for imaging, telemetry, etc. That simply wouldn't scale. The other exciting possibility is correlation between data from multiple drones. Fleet management is very relevant for commercial applications, and several vendors, such as Airwave, already offer solutions in this space. In a Fortune article last year, Airwave CEO Jonathan Downey talked about the value of the data being a key driver in their business. A much bigger picture can be created by looking at the entire dataset and applying big data analytics when a fleet of drones is in use. A great commercial example of this would be security drones. Let's say you wanted to augment physical security with a fleet of 10 drones that buzz around a campus gathering data and images. All that data could be stored in the cloud and analyzed, looking for patterns that could indicate suspicious activity or security threats. Because these cloud services can publish data using a REST interface, this information can easily be integrated into other applications such as physical security stations at a guard post, live monitoring apps or GIS mapping. Drone technology is in its infancy, so the possibilities for use in everyday life are hard to envision. With hardware costs falling rapidly we will see more innovative uses and an explosion in the number of drones in use. The exciting part for us will be the cloud services built around this industry and how they scale and perform. We expect to see an acceleration on the software related to drones as developers think of new ways to leverage this platform and all the related business opportunities.